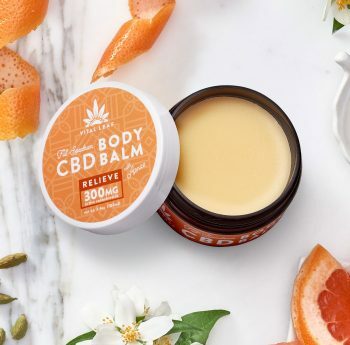 Our Unwind Body Balm is a potent blend of organic shea and fair trade cacao butter, infused with phytocannabinoid-rich full-spectrum hemp extracts, Arnica, and soothing, organic wildcrafted essential oils. A deeply nourishing & soothing every day, all-over moisturizer that softens your skin and helps address inflammation, pain, and soreness. This relaxing scent features a dreamy combination of chamomile, lavender, sage, sweet orange, cedarwood, and frankincense organic essential oils from Medicine Flower, an Oregon based, woman-owned ethical botanicals company.